ATTRIBUTES: Hulled hemp seeds are legal and delicious. The strains of cannabis used to produce hemp seeds don't contain detectable amounts of THC, the compound in marijuana that produces a high. SUPERPOWER: Tiny seeds offer a highly digestible, nearly complete source of protein with a robust amount of heart-healthy Omega-3 and Omega-6 fatty acids. 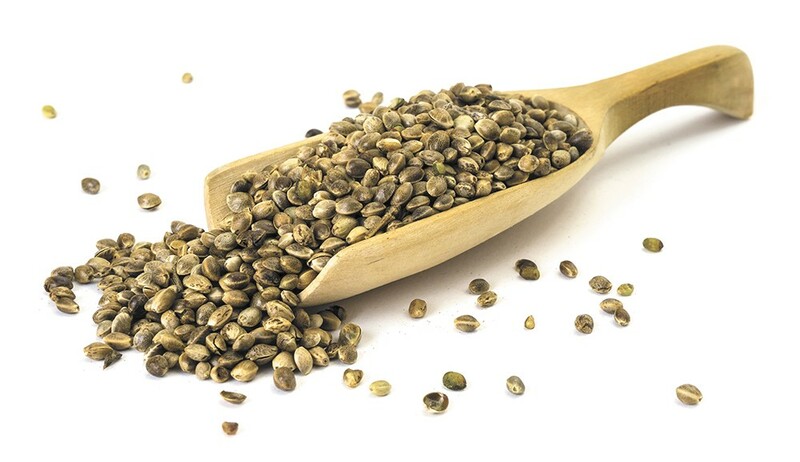 Hulled hemp seeds are also a good source of fiber, vitamin E, magnesium and potassium. WEAKNESSES: Heat can degrade hemp seeds' fatty acids, so for maximum benefit add them to food after cooking, and store opened packages in the refrigerator. Introduce hemp seeds into your diet gradually to avoid digestive upset. HOW TO USE: Bob's Red Mill offers hulled hemp seed at local grocery stores. Here's their recipe for Hemp Pesto: In a blender, purée 1 cup packed fresh basil leaves, ½ cup hulled hemp seed hearts, ½ cup grated Parmesan cheese, 2 cloves of garlic and ½ teaspoon salt. Slowly add ¼ cup olive oil to blender and process two to three minutes. Store in refrigerator up to one week.